Usually I have a pretty good idea of what I'm going to be blogging about week to week on Existential Ennui, but at the moment my plans are a bit fluid. I had intended to dedicate next week's posts to cult crime novelist Peter Rabe, with lots of cover galleries and rarely seen editions of his books, but for one reason or another I'm going to hold off on that till after Christmas now. Instead, in amongst the usual Westlake Scores and other bits and bobs, and as is traditional in the media at this time of year, I think I'm going to begin my Review of the Year, which will largely consist of me droning on about the (mostly old) books I bought and read this year, some of which I did little but mention in passing. I know: you can't wait, can you? 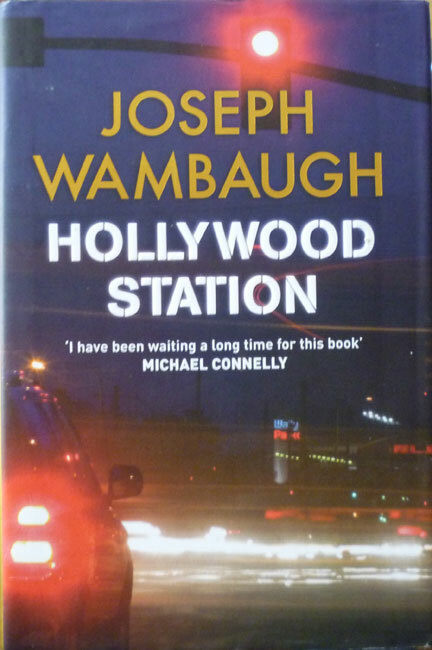 A UK hardback first edition of Hollywood Station by Joseph Wambaugh, published by Quercus in 2007 (2006 in the States). I bought it for a quid in the funny charity shop over the road from Waitrose, the same place I picked up one of the John le Carre books I blogged about the other week. Wambaugh is one of those authors I lost track of in my non-fiction reading wilderness years – as in, the years from the mid-1990s to the latter 2000s, when I was mostly reading comics and graphic novels and, actually, non-fiction, in the shape of political tomes. I read his 1973 debut novel, The New Centurions, many years ago, and I think I read one of his other novels, and possibly his classic non-fiction work, The Onion Field, too. He was the chronicler of cops, an ex-policeman himself who wrote convincingly of his former profession. As it turns out, Wambaugh hadn't published any novels anyway for ten years before Hollywood Station came along, so I hadn't missed much. But you can tell the high regard he's held in by those back cover quotes from the likes of Michael Connelly and George Pelecanos. In fact, I don't really need to add anything to those, other than Wambaugh's obviously got his mojo back because he followed Hollywood Station up with three sequels in swift succession: Hollywood Crows (2008), Hollywood Moon, and Hollywood Hills (2010; 2011 in the UK). 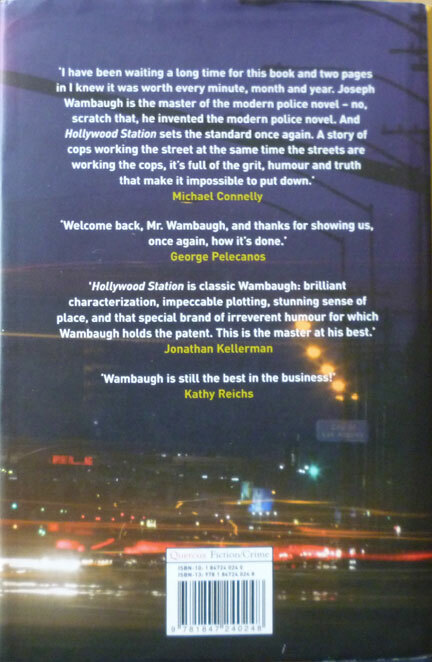 According to the eminently trustworthy Mark Lawson writing in The Guardian back in 2007, Hollywood Station is "as good as anything Wambaugh has done". A pound well spent, then.